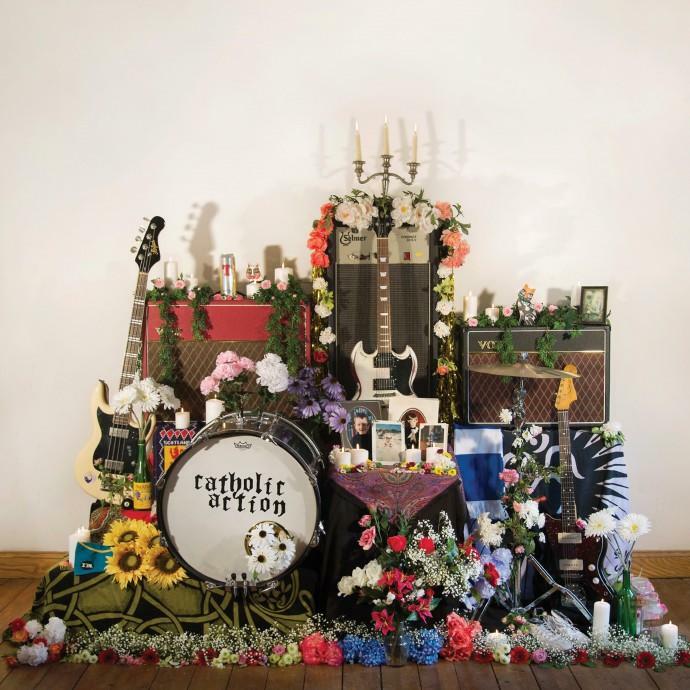 Glasgowmusic.co.uk - Review : "Catholic Action - In Memory Of"
"Long-awaited debut album from Glaswegians Catholic Action lives up to the expectation"
It�s been a long time coming, but Glaswegian four-piece Catholic Action finally release their full-length debut �In Memory Of�. Fronted by producer/songwriter extraordinaire Chris McCrory, the band have quietly been gaining momentum for several years, and have toured with the likes of Franz Ferdinand and Teenage Fanclub. Straight from the off, �In Memory Of� justifies the wait. Jamie Dubbers pounding bass on early single �L.U.V� kicks off proceedings and sets the anthemic tone which the record largely follows. The likes of the swaggering �Say Nothing� and the Blur-esque �Breakfast� being early highlights. �In Memory Of� features intelligent, self-aware songwriting from frontman Chris McCrory, which maintains a relatable charm. There�s the scathing put down of �Propaganda�, berating indie disco poseurs with a fierce repetitive scathing �I will never be like you�, but also features inspiration on one of the record�s more sombre moments, �The Shallows� (which is about a local suicide spot) as he idyllically encourages his subject to �put your faith in a pop song, and grow your hair�. While the balladry of �Childhood Home� and aforementioned �The Shallows� show that they have more than one string to their bow, it is on the livelier moments that Catholic Action come into their own. �Doing Well� is certainly the best song on the record, and might just be a contender for the best single of the year, while the glam rock romp of �New Year� is impossible to refrain from dancing to, and is a mass singalong in waiting. �In Memory Of� is an album of short, sharp guitar-based pop songs, the likes of which have largely disappeared from the airwaves in recent years. The fact that they have delivered a record as strong as this, despite having no space for the popular �Rita Ora� shows that there is no shortage of excellent material. Catholic Action are now at the forefront of bands most likely to drag guitar music back into the mainstream. In Memory Of is released on October 20 on Modern Sky. This review has been viewed 3414 times.